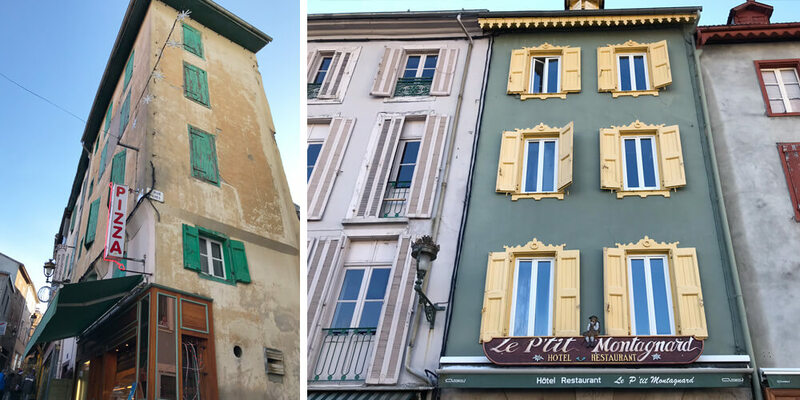 One of the best things about living in the South of France is that you have the best of both worlds. In Summer, you can enjoy the Mediterranean sea, and in Winter you can go skiing in the French Pyrenees. This year, our family of five went to explore Ax 3 Domaines. And this is how we discovered Ax-les-Thermes, a lovely ancient spa village in the French Pyrenees. 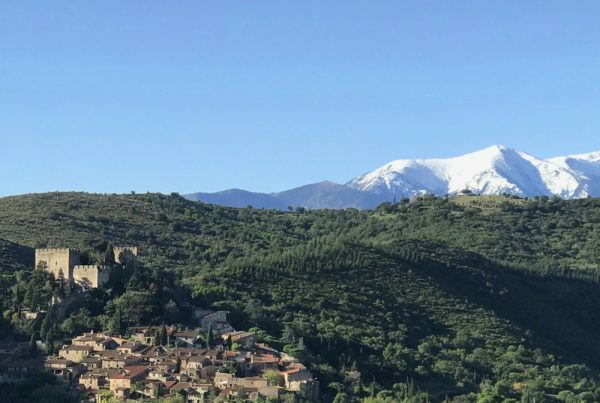 Nestled in a valley of the Ariège Pyrenees, Ax-les-Thermes is situated 130 kilometres away from both Toulouse and Perpignan and 35 kilometres away from Andorra. 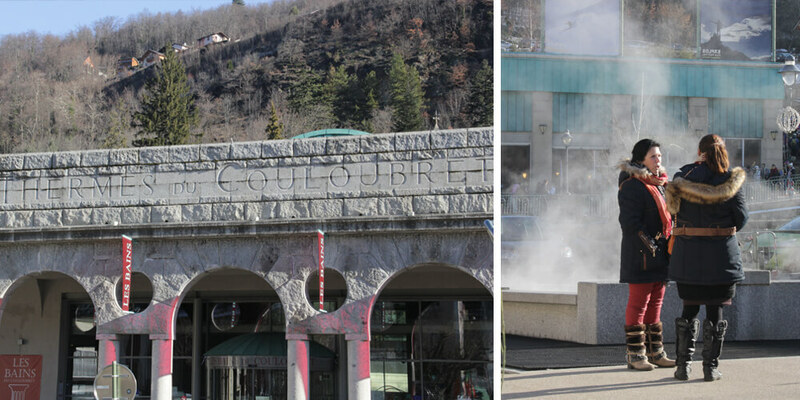 We went to this village to go skiing, not realising it has over 50 natural sulphurous hot water springs. When exploring Ax-les-Thermes, we soon enough arrived on Place Saint-Jérôme. This square hosts a market every Tuesday and Saturday, even in Winter. In Summer there is a market on Thursdays as well. 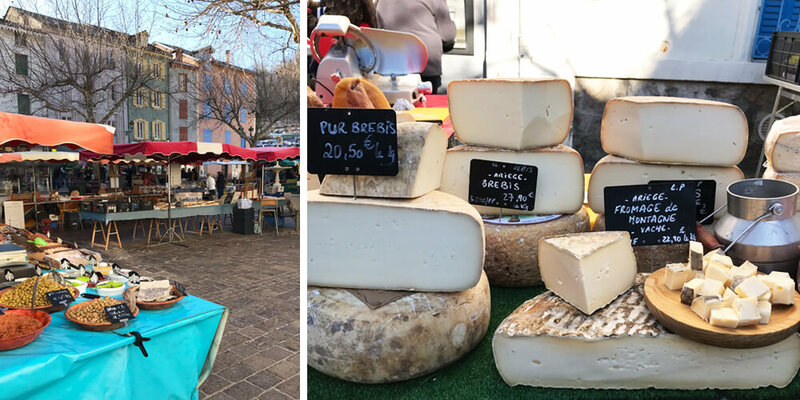 Before going home on Saturday, I first made a quick stop at the market to buy some fine local products like cheese and sausages. 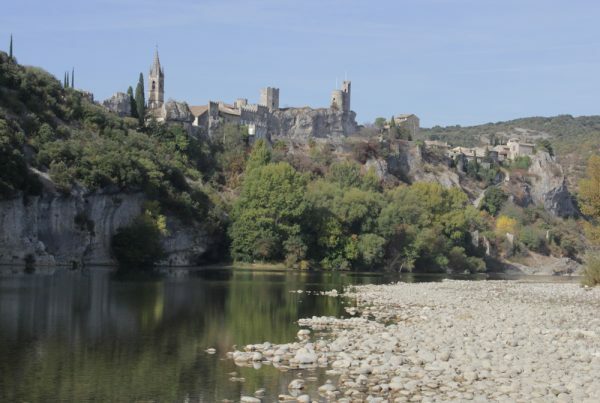 Ax-les-Thermes is an attractive village with lots of outdoor activities. Skiing, hiking, mountain biking, and climbing are all among the possibilities. 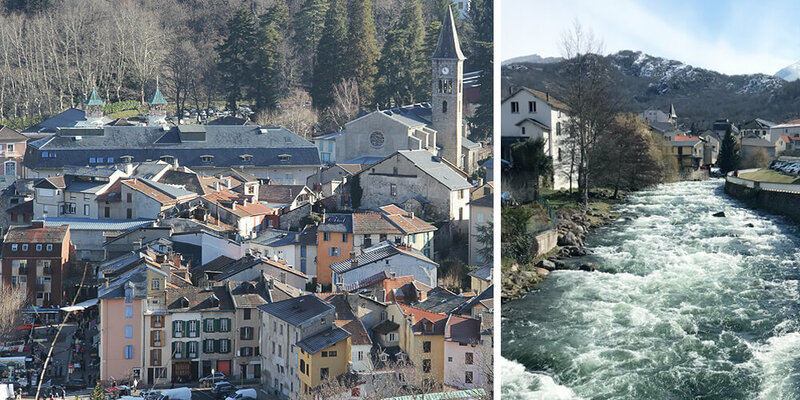 In Summer you can also discover the Ariège river, which runs through the village, by kayak, raft, canoe or stand-up paddleboard. 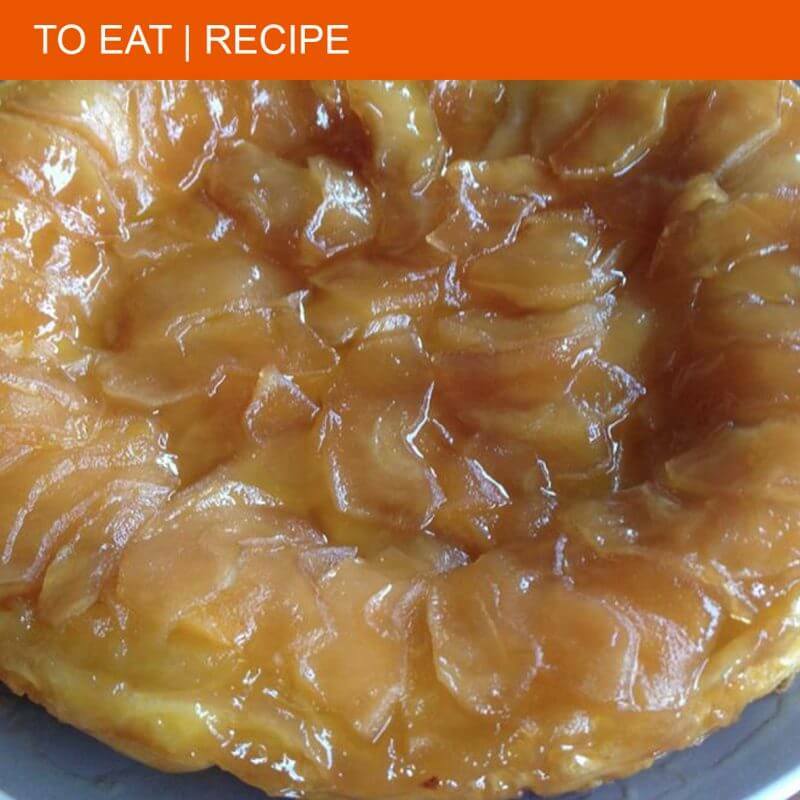 You won’t get bored! The village centre itself isn’t very big but it has everything you will need. 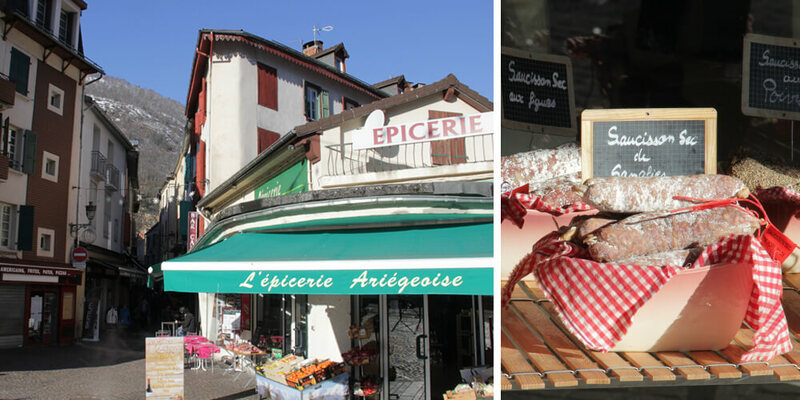 Of course, there are some mini supermarkets, boulangeries, charcuteries and two épiceries with local products. One address not to miss when in Ax-les-Thermes is La Boutique de la Ferme on the Place de Breilh. You will find the finest local products in this farmer’s shop. 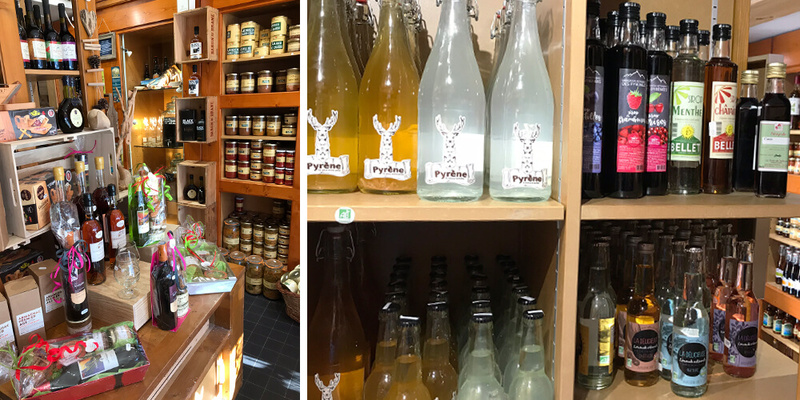 All kinds of delicacies are presented in a very desirable way: tasty cheeses, fine charcuterie, locally produced lemonades, regional wines, all sorts of oil and so much more. But be warned: don’t go in when you are hungry! As a well-known spa destination for centuries, you will find no less than three spa resorts in Ax-les-Thermes. Le Teich and Le Modèle mainly offer rheumatology and respiratory treatments, while Les Bains des Couloubret lets you indulge in total relaxation. Even in the village itself, you will find free open-air basins, like the “Bassin des Ladres”. The name of this “Lepers Basin” comes from the hospital that was built in 1260 around the hot springs. Its main goal was to treat leprosy affected soldiers returning from the crusades. We mainly dipped our feet in the “Bassins de l’Axéenne”, which is situated right at the bottom of the télécabine, on the place Saint-Jérôme. The perfect treat for our poor feet after a day’s skiing. We stayed for a couple of days and mainly spent them on the pistes, so we didn’t check out all the restaurants in Ax-les-Thermes. There is a wide choice though, from typical French mountain restaurants to the Spanish influenced tapas bars. If you don’t feel like eating out or cooking, you will find the best takeaway pizza in the village at La Pizzatière, at 2, Rue Joseph Rigal. Ax-les-Thermes is a popular destination for locals. Especially during the Winter weekends and holidays, you can expect a lot of people on the road. 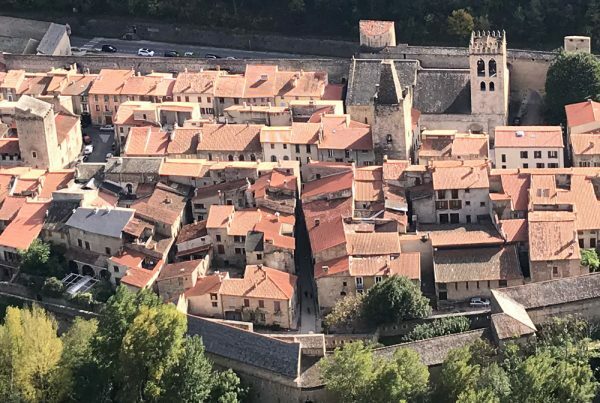 The village is also easily accessible by train, located on the Portet-Saint-Simon–Puigcerdà railway.